New Crazy Light 2 spots filmed at the NBA arenas of the Boston Celtics, Miami Heat, Oklahoma City Thunder and San Antonio Spurs. 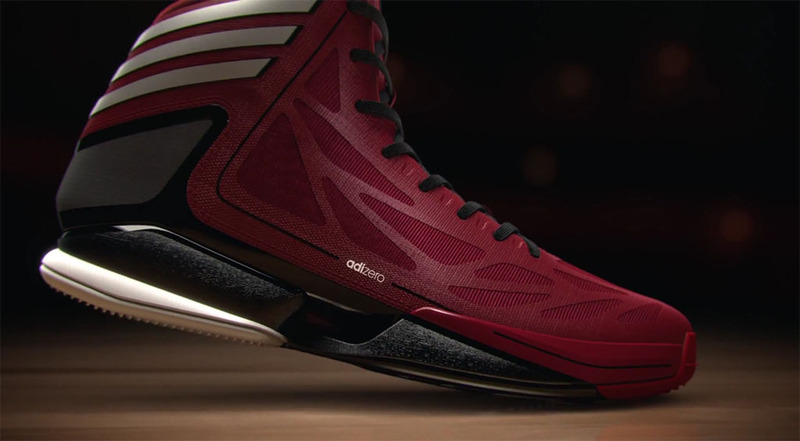 Today, adidas launches "Light Delivers," a new series of television commercials that star the adiZero Crazy Light 2 and showcase how staying light and fast on the basketball court helps earn playoff wins and championship banners. Filmed in the NBA arenas of the Boston Celtics, Miami Heat, Oklahoma City Thunder and San Antonio Spurs, the spots highlight the past, current and future success of these teams to showcase how light delivers the best performance for players at all levels of play. You will also be able to get lighter and faster tomorrow when the Crazy Light 2 officially releases at adidas.com, Eastbay and Foot Locker.